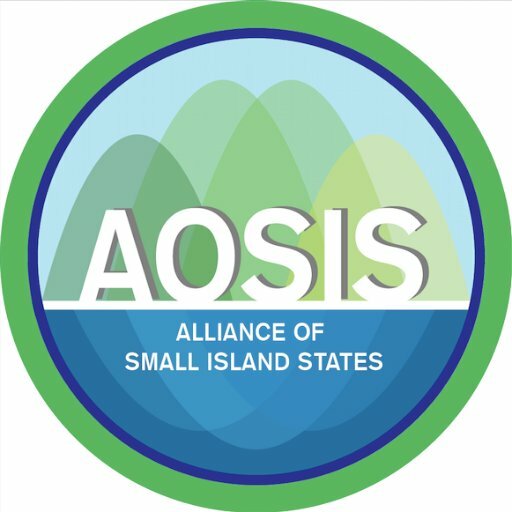 I have the honour to address you on behalf of the members of the Alliance of Small Island States (AOSIS). We align ourselves with the statement made by the distinguished representative of the Republic of Ecuador on behalf of the Group of 77 and China. It is a pleasure to see one of our own, a fellow AOSIS Colleague at the helm of this esteemed Executive Board. Congratulations to you, Mr. President, and congratulations to the other members of your Bureau. I know it is not the norm to have AOSIS deliver a statement at this Executive Board, and possibly this may be our very first such statement, but it will certainly not be the last. With the birth of a new era of leaving no one behind, we are accelerating our advocacy to ensure that our special and unique circumstances are incorporated into every Strategic plan of the funds and programmes of the United Nations. UNICEF has always been a prominent figure in our countries and we look forward to strengthening this partnership. However, what we are requesting is that our priorities as outlined in the SAMOA Pathway, and reiterated in the 2030 Agenda and all other major frameworks thereafter, are taken into account and that there be synergies between your work and that of those outlined in these processes. We believe that UNICEF has a very important role to play as we move towards sustainable development, which is even more heightened in this current world affairs and dynamics, our young boys and girls, and youth as a whole are seriously endangered. We must together ensure that they are properly taken care of, that they live in safe environments, are fed, schooled and provided with the necessary tools to advance in this era of technology. AOSIS is here today in an effort to highlight these critical issues, which we believe to be highly relevant and must necessary for you to consider as you update your road map to and outline your Strategic Plan for 2018-2021. Firstly, Mr. President, we wish to reiterate our calls in the 2016 QCPR resolution for the integration and support for SIDS in line with their special challenges and peculiarities. As you prepare your strategic plan we need you to seriously think of how UNICEF can assist SIDS in meeting the needs of its children and youth as they are our collective future. The Samoa Pathway, which is the blueprint for SIDS development, outlines as highly important the need to forge strong partnerships that would not only protect our children from crime, trafficking and sexual exploitation, but would also provide the tools and safe places for nurturing both the body and mind holistically. In addition, in this digital age we must take full advantage of the technological movement among our young population, in an effort to bridge the gap and assist them in helping to shape their own future. These we see not as a need but as crucial aspects critical to the development of our children and youth and the advancement and preservation of our Nations. Secondly, we need UNICEF to work with the other UN entities on the ground in our countries to work more closely in an effort to maximize delivery of services in a more coherent and cohesive manner, for as we have realized in our excruciating negotiations of the SDGs and the 2030 Agenda that the issues are far more intertwined and interrelated than we had believed. Therefore, as we pointed out in the 2016 QCPR resolution there has to be a reexamining of multi-country offices, and noting that UNICEF is sometimes the main entity on the ground in these multi-office settings, we are counting on your support for a true evaluation of this approach to improve its delivery of effective services. Thirdly, we need evaluations of our countries based on a more holistic approach that would take into account our unique vulnerabilities. We are happy to see that one of our sister island, Haiti, is one of the countries you will be examining during this session. Hopefully, this will assist in understanding the complexities of being a SIDS and what further tangible actions can be taken to help SIDS. Lastly, as the 2030 Agenda calls for a shift in mindset and for priorities to be set by countries, we look forward to you and the other entities of the United Nations to invest high priority in strengthening your country and regional arms, as well as supporting the Resident Coordinator System to provide the needed assistance on the ground. We believe that you must do your part as a member of the development system to ensure that delivery of services is optimal. In closing, we commit to be by your side providing support. We wish you every success with this session, and please know that you can count on the full cooperation of the members of AOSIS.